The setup? That sanofi aventis, manufacturer and marketer of blood clot treatment medication, needed a way to heighten consumer awareness of Deep Vein Thrombosis (and, secondarily, of available treatment regimens), reminding them of the dangers of inactivity and encouraging them to maintain blood mobility. The pitch? We developed a platform based on a partnership with professional baseball, and with notable baseball players whose lives had been touched by D.V.T. 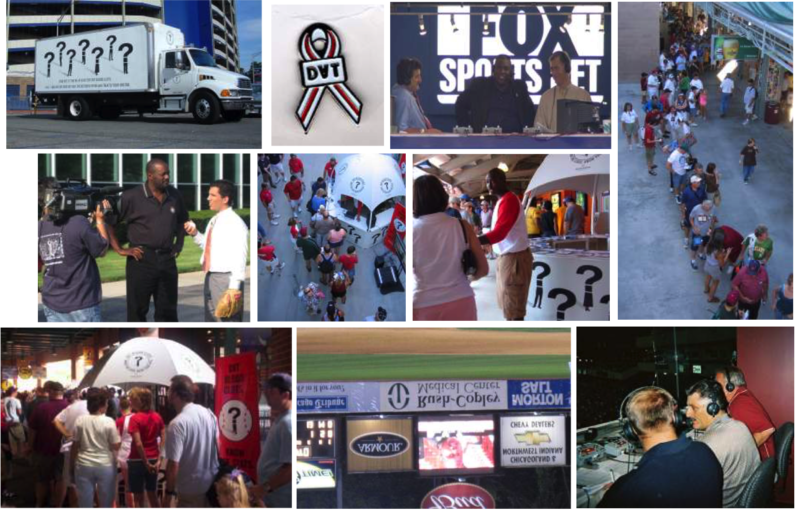 Kiosks in stadium concourses and at MLB All-Star FanFest let consumers register to receive additional information regarding D.V.T. It succeeded so well, the client had us execute the program for a total of three years!